There are two kinds of camera accessories. Those that directly affect the quality of the images/audio you record and those that merely affect the experience of capturing it. Examples of the former: lens filters, specialty microphones, and light kits. Examples of the latter: carrying cases, external monitors, and focus assisting devices. LCD viewfinders are in the second group. They’re accessories designed to help you see better what you’re shooting. They take the image from a camera’s LCD screen and funnel it into an eyepiece. They won’t change how light reaches the image sensor. They won’t give you the ability to record shots you wouldn’t otherwise be able to capture (for the most part). They just make shooting a better experience, particular in certain circumstances. Those circumstances include shooting in sunlight, where an LCD can be hard to see. 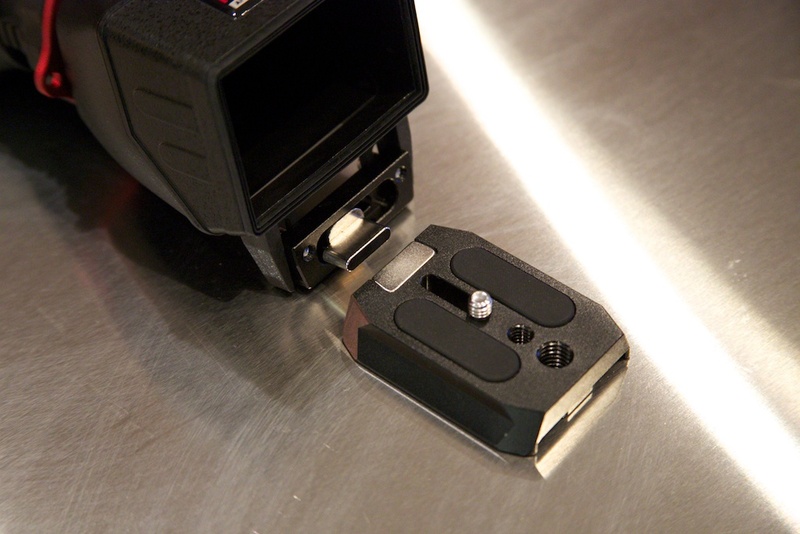 They are also beneficial with handheld shots, as your head can now provide additional stability to the camera. And regardless of where or how you’re shooting, LCDs on the back of cameras — which nowadays run about 3 inches in size — aren’t ideal when it comes to focusing. An image that looks in-focus at 3 inches could turn out blurry on a bigger screen. 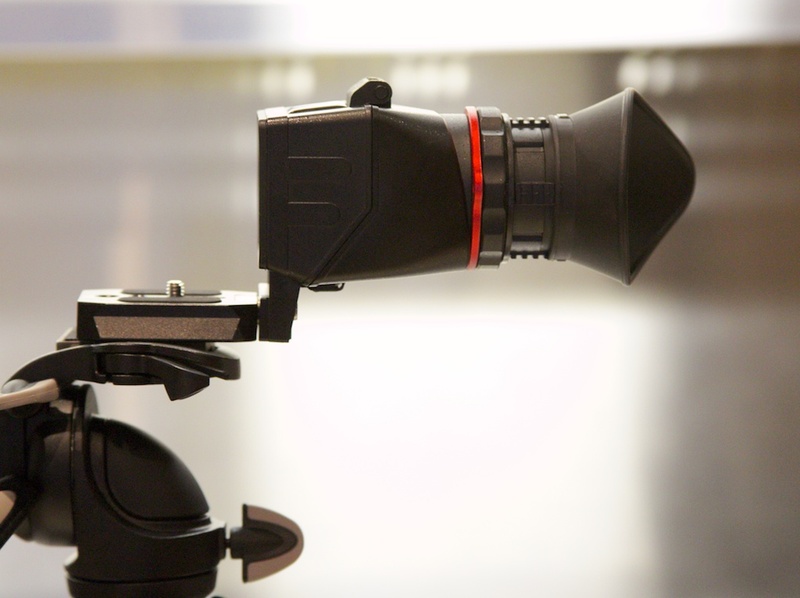 Eyepieces, which fill your field of vision with the image being captured, have a major edge in that area. 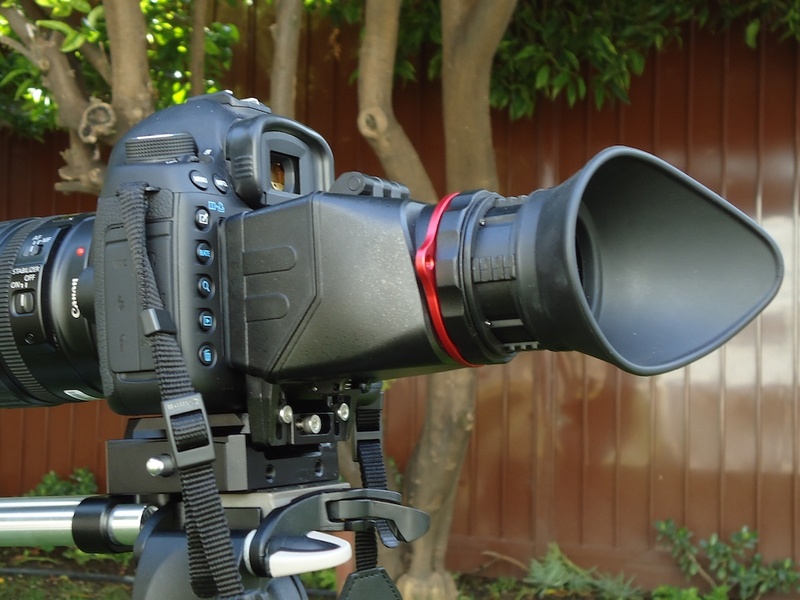 So if you have a camera that doesn’t include an eyepiece, or it has one, but the eyepiece isn’t of much using when recording video (as is the case with most DSLRs), an LCD view finder can be a lifesaver. 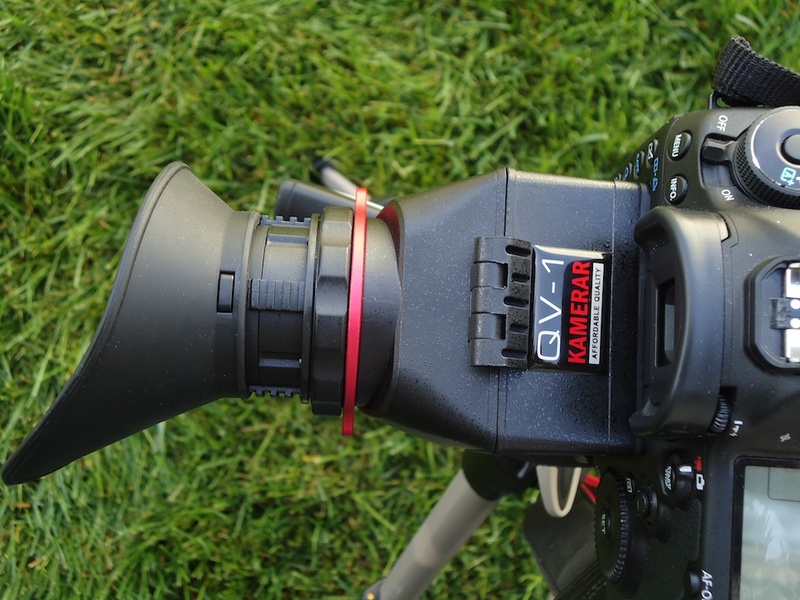 Like the Carry Speed VF-3 and VF-4 viewfinders, the Kamerar QV-1 is designed for hobbyists on a budget or a professional just getting started. The Kamerar bests both those models on price, though. FYI: I didn’t even know this product existed until I saw it on Cheesycam.com. If you’re interested in buying this, you’ll want to check out their take on it, which gets more into detail on what specific camera models it works well with. Like the Carry Speed viewfinders, the QV-1 mounts to the bottom of the camera via a special baseplate (that comes with it). To me, this is preferable to viewfinders that attach directly to the back of the camera (via glue or rubber bands or straps of some kind). 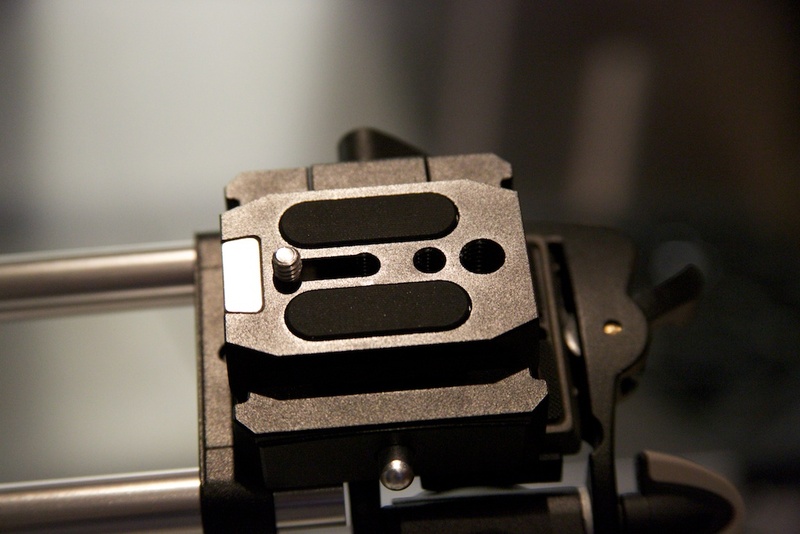 The baseplate that comes with the QV-1 uses a magnet to hold the viewfinder in place. This is a nice touch. The magnet is strong enough that you never worry about the viewfinder coming loose when you don’t want it to, but it’s easy enough to remove when you don’t need it. 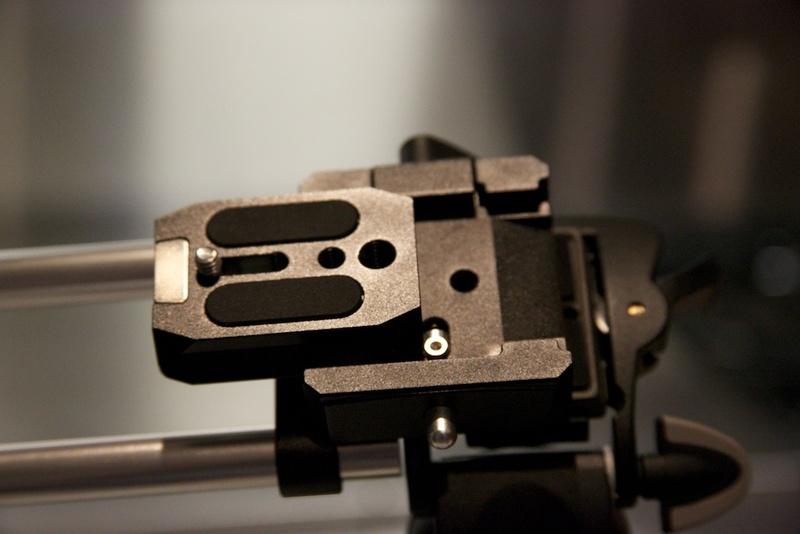 The included baseplate is compatible with some tripod heads right out of the box (those that work with Manfrotto 501PL-type plates). But if it’s not inherently compatible with yours, that’s not a huge deal, as it’s designed to be used in conjunction with whatever baseplate goes with your current tripod head. 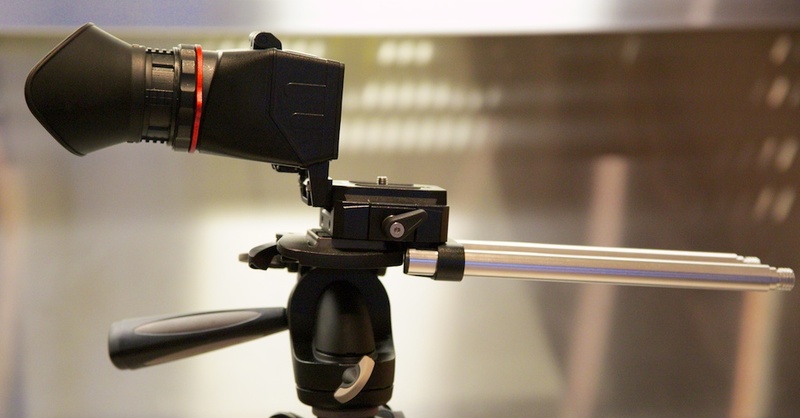 I don’t have the “right” kind of tripod head, but, as you can see below, it still works well with the QV-1. Now, I wear glasses. One concern I did have is whether or not it’ll have an adjustment to compensate for my poor eyesight, since most viewfinders don’t work well with glasses. There is a “diopter adjustment” that allows you to change the position of the “glass” (which is really plastic) inside the viewfinder ever-so-slightly. This can help compensate for people with poor eyesight. But it didn’t work for me. My eyesight was just out of the range the diopter could correct (which, to be honest, seemed to have a very limited range). Fortunately, this turned out NOT to be a deal breaker, since the generously sized eyepiece works well with my wire-framed glasses. I don’t have to remove my glasses to use it, which is great. The QV-1 also fits snuggly right up against the screen, with no light leakage, which I’ve heard is a problem with other view finders that mount from the bottom of the camera. 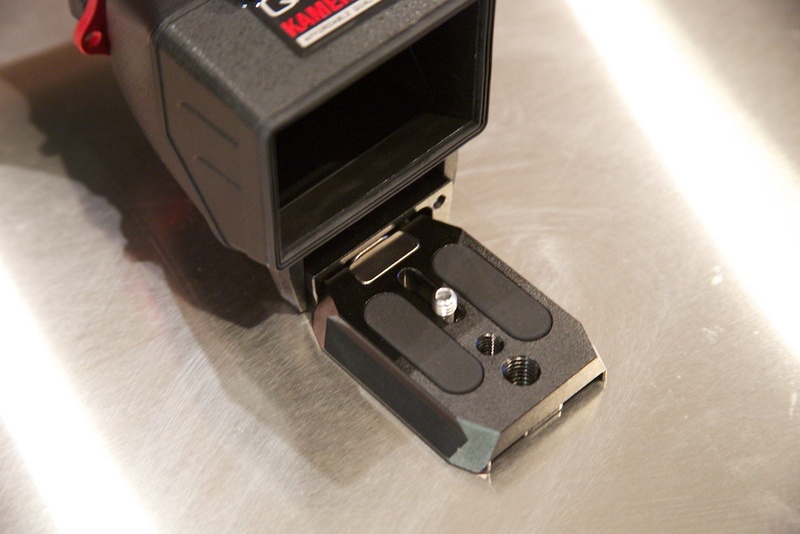 The QV-1 comes with an allen wrench used to tailor the location of the viewfinder to your particular camera. I’m only using this on a Canon 5D Mark III. The Mark III has a 3.2 inch screen, which, at the moment, is still an atypical screen size (3 inches is more common). But the QV-1 works well with it. It doesn’t seem to block any of the image, nor does it block any of the buttons on the back of the camera (or the battery door on the bottom of it). Again, if you’re interested in whether or not this will work with your camera, I’d check Cheesycam review and this web page from people who sell it. The main selling point for me, though, was the upgraded kit which includes a rail system. This kit comes with QV-1 and the baseplate it attaches to AND with an additional base and two 8 inch long “rails.” The rails are 15mm in diameter, which is a standard dimension in DSLR gear circles. I look forward to using these rails to add a “follow focus” (which makes keeping focus easier when shooting video) and a matte box (to block excess light from leaking into the lens). The base that comes with the rail kit has a sliding quick release that’s a lot easier to use than the “not-so-quick release” that came standard on the tripod I already have (it’s technically a quick release, but the baseplate is square and a little finicky to lock into place… not very quick at all). The above photos show how QV-1’s baseplate slides into the “rail base.” By keeping the rail base on top of my tripod pretty much all-the-time, I’ve upgraded the tripod head substantially at a minimal cost (and definitely less than the cost of a new tripod). Build Quality — Lots of plastic. It definitely “feels” like a budget item. But there’s nothing flimsy about it. I would still describe the build as “solid” overall. Instructions — There weren’t any. The kit only comes with a handful of items, each with it’s own clear purpose, but some documentation would’ve been nice. I can see some people who are really new to DSLR videography being a little unsure what does what. Features — In addition to the nice magnetic mechanism that allows the viewfinder to be easily removed when not needed, the eyepiece can also be “flipped up” so other people can see the LCD screen while still having some shade from the sun. Strap — It does come with a strap, so you can keep it around your neck when not needed during shoots (since it’s way too big to fit in a pocket). Competition — In this price range, you can get a “loupe” that more or less serves the same purpose as an LCD view finder. A loupe is a smaller magnifying device that is meant to be held over the LCD so you can get a better look at your footage. If you want an accessory that’ll aid in handheld shooting, though, a loupe won’t cut it. You need a viewfinder that mounts onto the camera. I’ll definitely be keeping the Kamerar QV-1 LCD view finder (which I purchased with my own money, like all the products I review). The kit that includes both the view finder and the rail system is less than $150 as of this writing. Products in the same ballpark as the QV-1 could be had for that price alone, without the rails. Will the product hold up over time as well as some more expensive models? That remains to be seen. I’ve only had it for a couple days. 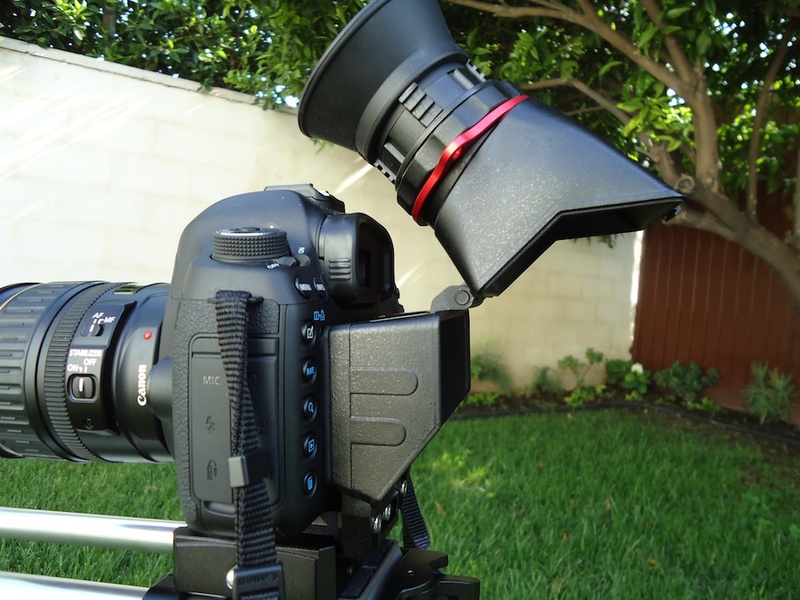 If you’re on a budget and want both a viewfinder and rails, consider this. If you just want a view finder, even better, especially if you can get the $65 price. Is this an “essential” accessory, though? Not really. If you’re not shooting a lot of video — particularly handheld video — you might not really benefit from it. If you wear thick glasses, you may have issues. And if you just need something to shade your LCD from the sun, there are cheaper ways to do that. But if you’re a videographer looking to experiment with more complex set-ups, this appears to be a great first step.